Here's a new twist on an old favorite: pretzels warm from the oven. 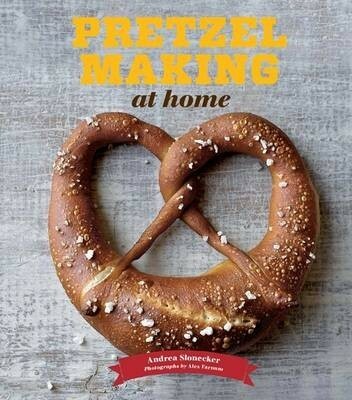 DIY bakers can make their own crunchy, chewy, savory, or sweet artisan pretzels with this collection of 50 recipes that imagines every way to shape, fill, and top them. Here are the traditional versions as well as novel creations such as Philly cheesesteak pretzel pockets and fried pretzel with cinnamon sugar. More substantial dishes like wild mushroom and chestnut pretzel stuffing, and pretzel bread pudding with caramel sauce elevate the humble pretzel to dinner-table fare as this tantalizing cookbook takes a cherished everyday snack to the next level of culinary creativity.